Terror Tuesday. Every Tuesday, the White House occupant, Oh-Bummer Man has a meeting where he and military chiefs go through a list of people they have decided gets an early retirement, based, many times on evidence which is as solid as a toothpick. “Did we just kill a kid?” he asked the man sitting next to him. 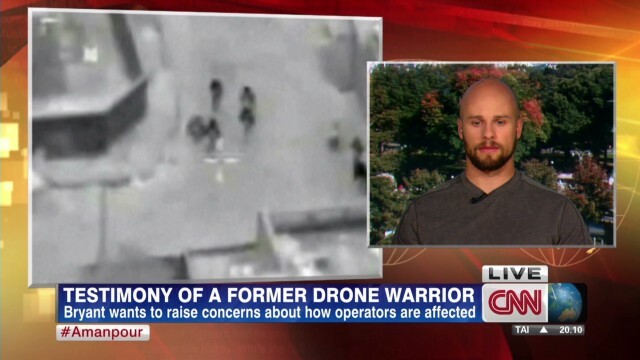 Brandon Bryant, was in the US Army and worked within the secret drone programme bombing targets in Afghanistan and elsewhere. He was told that he helped to kill more than 1,600 people, but as time went by he felt uneasy with what he was doing. He found it hard to sleep and started dreaming in infra-red. Brandon Bryant told the BBC/World Service ‘Witness’ program about his doubts and the mission that convinced him it was time to stop.